Today I was proud to introduce my Private Member’s Bill: An Act to amend the Income Tax Act and to make a related amendment to another Act (registered retirement income fund), also known as the RRIF Financial Security Act. This Bill aims to eliminate the current minimum withdrawal structure in RRIFs, enabling seniors to continue to shield their savings from the taxman for when they need it. 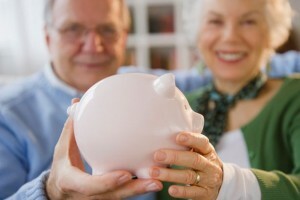 The federal government’s current mandatory minimum withdrawal system for Canadian seniors who hold a Registered Retirement Income Fund (RRIF) mandates that RRIF holders, beginning at age 71, must start withdrawing a growing percentage of their tax-protected savings each year – regardless of whether they need or desire to withdraw these funds. This requirement negatively affects seniors in multiple ways and disproportionately hurts low-income seniors. It removes the ability to manage their own money in retirement by forcing them to withdraw their savings at an unsustainable rate, potentially leaving them without their savings when they need them most. We have an expectation that Canadians should manage their retirement; how you save, where and how you spend and, of course, that it is absolutely essential to start saving as soon as possible. The current RRIF structure violates this expectation, by removing your ability to decide when and how much you want to withdraw from your savings. This is inefficient, and wrong. Please share this Bill with your friends and family so we can remove the mandatory requirement, and help seniors across Canada. We should be encouraging working Canadians to save for retirement, and ensure that we have the simplest possible regime to work with. The RRIF Financial Security Act accomplishes just that.